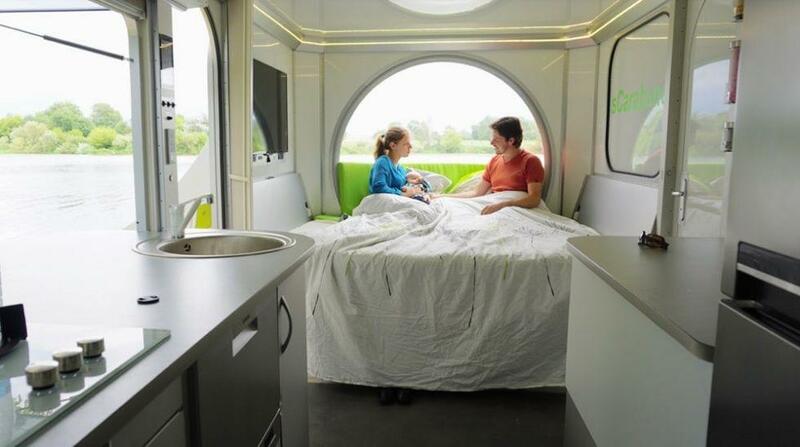 If you've ever dreamed of traveling the country, but worried that your carbon footprint would only grow as you traversed the landscape, there is a new kind of camper designed to limit some of the drains on the planet that traditional mobile home living creates. 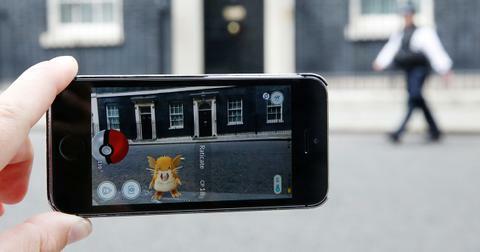 The sCarabane was recently revealed by Green Cat Technologies, according to Curbed. The modular system is allegedly self-sufficient, and while it may not look like much when it's closed up into a 26-foot boxy trailer for travel, it opens into an extremely livable 420-square-foot house. It takes about 30 minutes to set up the trailer into a livable space after setting it down. Once assembled, there are two "master bedrooms" that feature a fold-out desk and twin beds. The kitchen opens to a deck outside, which will allow you to not only live, but host! However, it's the green technology of the design that's really attracting attention. A parabolic mirror sits on top of the trailer, and the trailer itself is set on a circular track that rotates to track the sun, absorbing energy to power the solar unit that gives electricity to the entire house. A solar concentrator can heat water, and there's a retractable wind generator for cloudy days. you need all that, because the sCarabane also has a microwave, dishwasher and washing machine, according to Country Living. New Atlas reports that the unit was designed as more of a showcase for new ideas when it comes to camp living, and it's not necessarily meant for mass production. 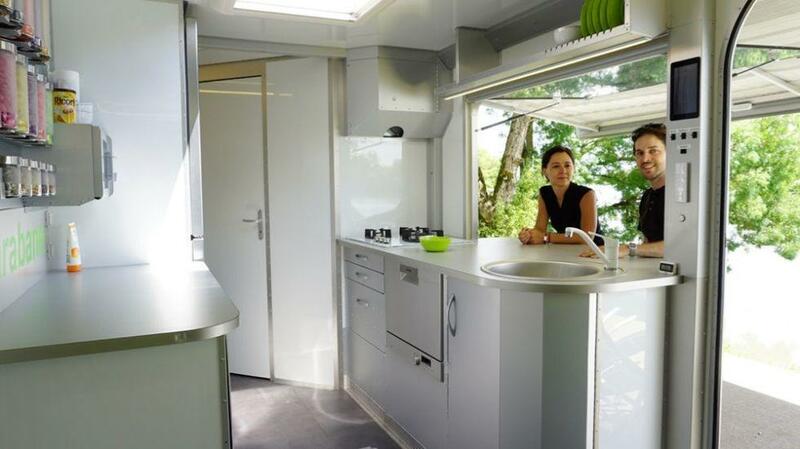 The sCarabane is a great example of not only how to live in luxury while camping, but how to make the most of your environment while taking the least.